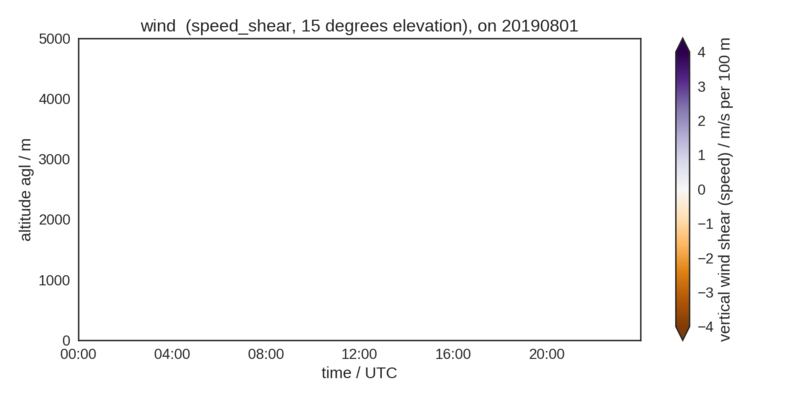 Vertical wind shear from horizontal wind speed per 100 m altitude. 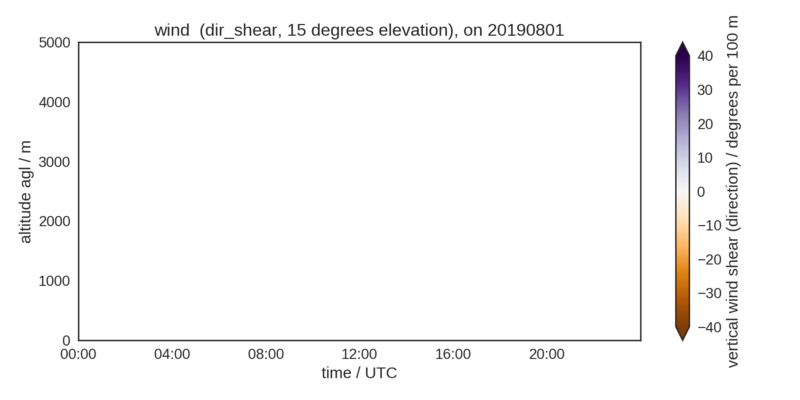 Vertical wind shear from horizontal wind direction per 100 m altitude. 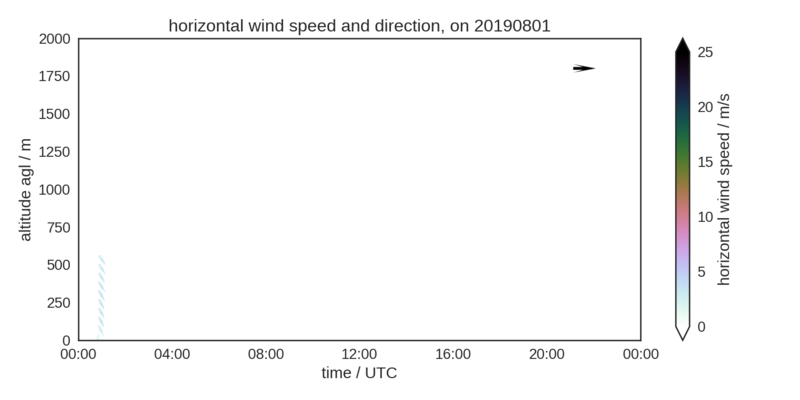 Horizontal wind speed (colour) and direction(arrows). Arrows point to where the wind is going. 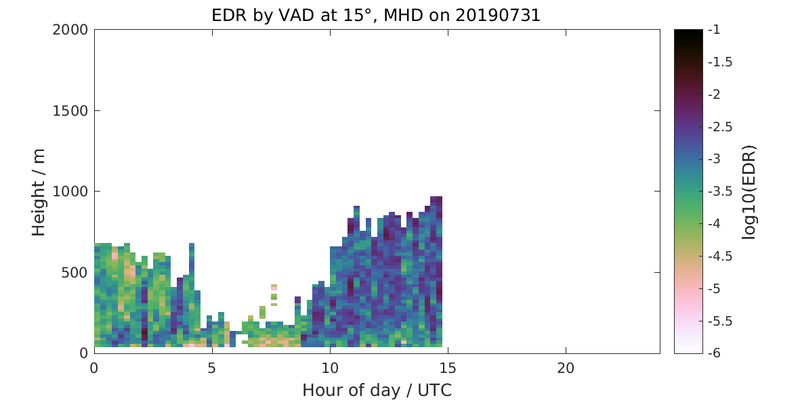 Logarithm of eddy dissipation rate (EDR) from VAD at 15 degrees elevation. Darker colours signify more turbulent conditions. 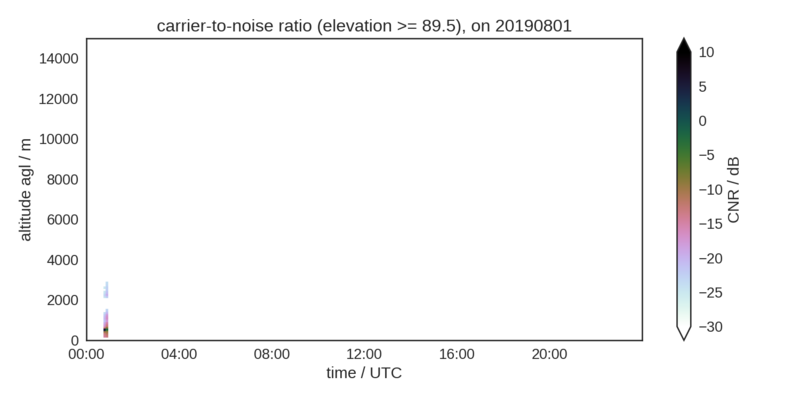 Algorithm to calculate EDR by Shu Yang from Icelandic Met Office and Reykjavik University. Low level jet detection by M. Tuononen from FMI (Finnish Meteorological Institute). More details below. FWHM: full peak width at half maximum. 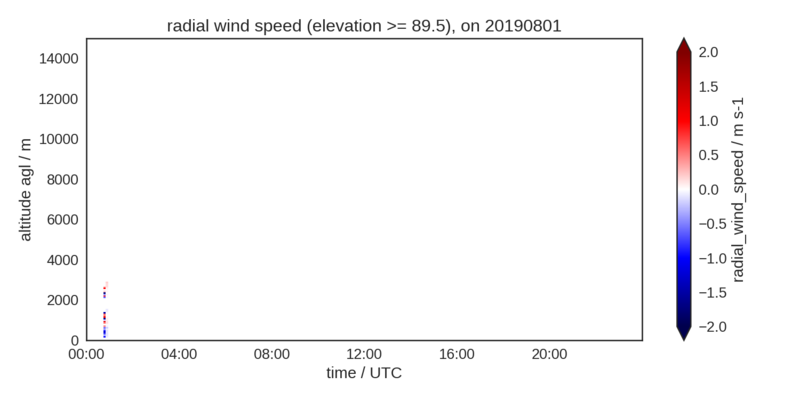 The horizontal wind speed and the wind direction are derived using a least squares fit of the radial wind during full conical scans (VAD). The goodness of the fit is influenced by clouds and wind velocity. This may cause gaps in the plots, where quality screening removed invalid fit results. Results from other VAD scan angles. 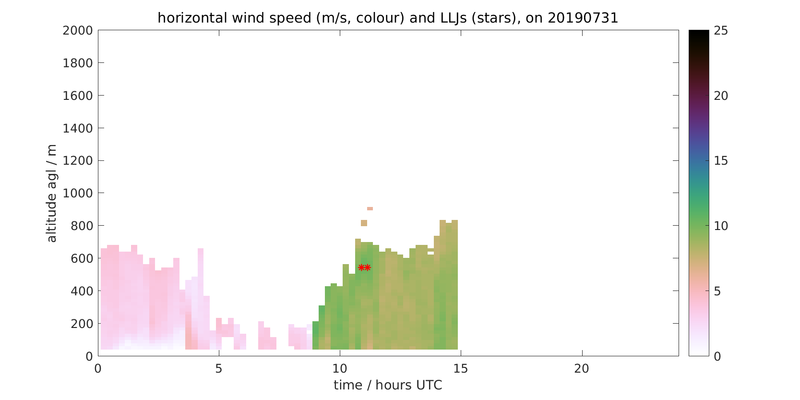 Low level jet (LLJ) detection by Tuononen, et al. (2017). 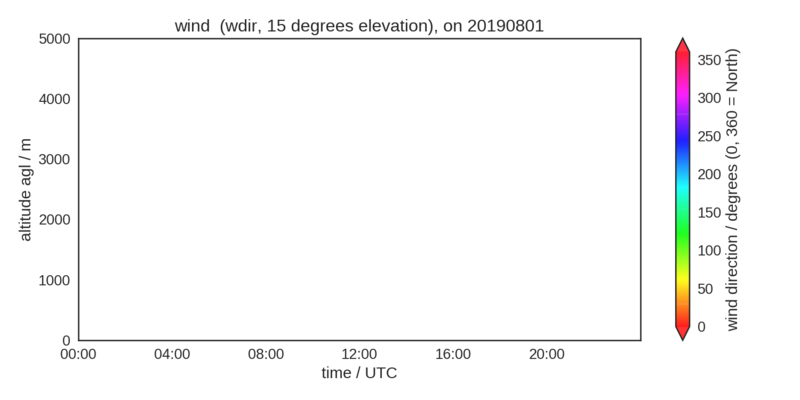 LLJs are peaks in the profiles of horizontal wind speed retrieved from full conical scans (VAD) at 15 degrees elevation.